As a medical service professional, you know just how challenging appointment scheduling can be. One of the fastest ways to get clients to keep appointments is by utilizing a quality online scheduling software. From the ease of use to continual customer care, the benefits of an online software will blow your socks off. Here are just a few of the ways online scheduling software can revolutionize the medical industry. Clients today are busier than ever, but with simple online automation, appointment scheduling can be done from anywhere in the world, 24 hours a day, 7 days a week. Online scheduling software allows new or existing clients to login to their personal account, view your calendar and pick a convenient time for their next visit. You can choose to color code your online appointment time slots. This allows for you to easily differentiate between appointments booked online or booked manually through the office. In addition, as clients enter their information, the online system assembles and backs up complete data collection. You can easily access personal contact information, medical concerns and view past appointments from wherever you are. Customers today expect a personalized experience even when it comes to online appointment scheduling. 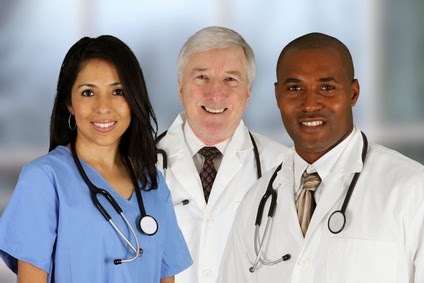 As a medical service provider you can choose to connect your online calendar with a personalized webpage and Facebook. Your patients can send in their reviews of their experience at your clinic, which automatically get published onto your mini webpage. Clients can book online via their computer, smartphone or tablet all on a safe and secure network. Require online payments? No problem. We have got you covered, with our Stripe software integration to process credit cards. Tired of making reminder calls? With online scheduling software clients receive automatic email reminders. Studies show that customers who are reminded of their upcoming appointments are much more likely to keep their appointments. This saves the medical service provider time, money and a ton of hassle. If your client prefers, they can book your service via Facebook. Suddenly, your services integrate seamlessly with your customers’ hectic lifestyle. So if you are a medical service provider who needed a kick start with online appointment scheduling, then this article definitely got you off to a great start. The 3 benefits we just discussed are only the tip of the iceberg. If you want to save time and money with ease, then you owe it to yourself to consider using a quality software program. Ready to get started? Discover the ins and outs of one of the leading online appointment scheduling software programs. CLICK HERE to get started with BookSteam FREE trial today.